Oh sweet baby Charlotte, you are just the cutest thing on the planet! I couldn't believe how alert she was. I mean, what baby under 2 weeks old just stares at the camera even when I am far away?! And content.. 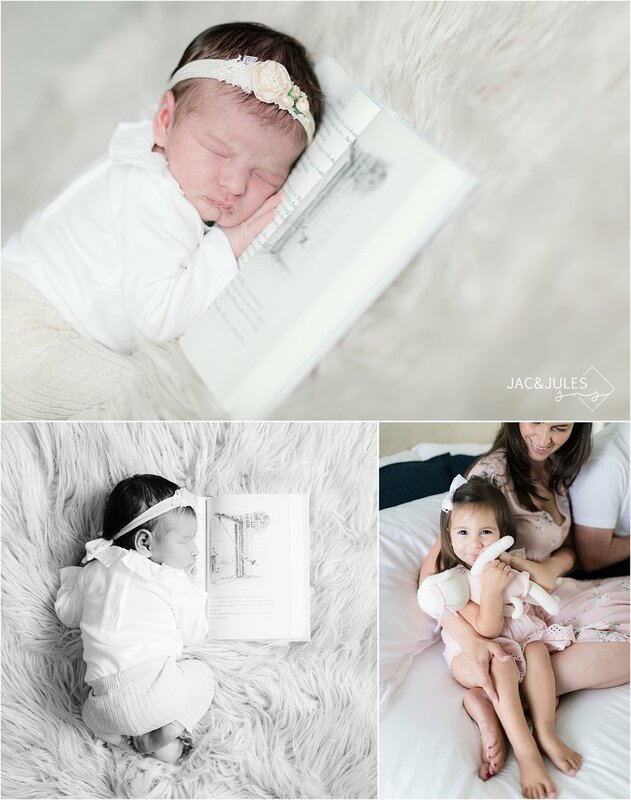 I just love content babies :) Their home was full of beautiful natural light and neutral colors. I was in heaven and could have stayed there all day if the kids didn't take naps..haha! Their maternity session is a recent favorite of mine, this family is always so fun and laid back, and this session was no different. So many candid moments with the 2 older siblings. I already can't wait until next time! 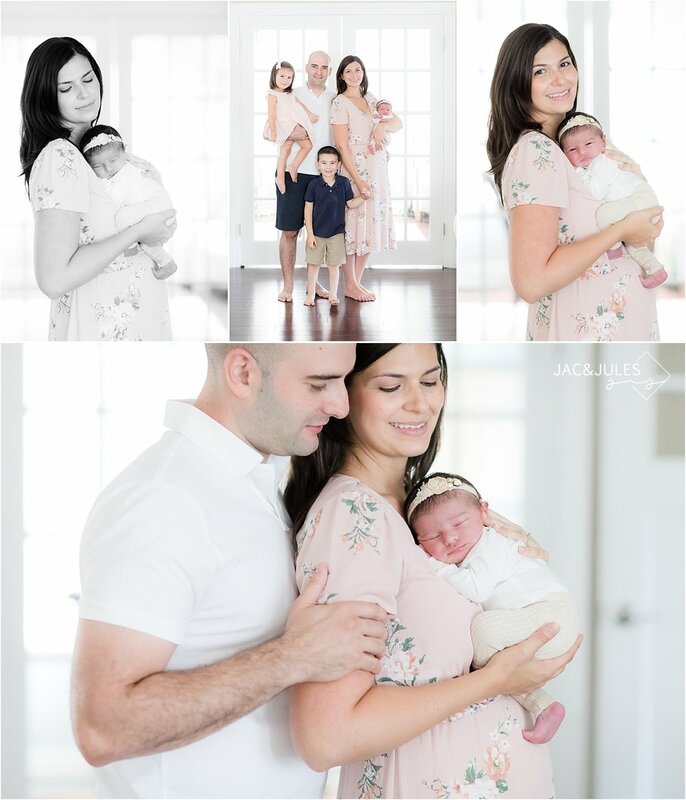 Take a look at some of our favorite photos from this in-home lifestyle newborn session in NJ!